P/S: Out of Klang Valley customer who's make the payment without agreed postage fee. P/S: Full Amount Refund if using direct bank in / cheque bank in. Customer KL Klang Valley Malaysia (Only)-T&C with purchase amount above RM100 can Pay Cash or Cheque (issue payable to PACIFIC WISE SDN BHD) on Delivery. Now You can send a payment to anyone with an email address or a mobile number via Paypal. 3) Enter the amount and send your payment more securely. 4) Track your account activity in a single location. FAQ: Why have I been charged with an extra USD 1 for my purchase? The 1 USD charge is a temporary authorization by PayPal. To verify that the buyer’s credit card or debit card is in good standing, a temporary USD 1.00 charge might appear in buyer’s transaction history. The charge appears as ‘pending’ and is automatically removed after the full amount of the purchase is processed. It may take a few minutes or up to 30 days, depending on the card issuer, for the transaction to be removed and the USD 1.00 to be released to the buyer’s card. If the authorization charge remains on the buyer’s card after 30 days, we suggest the buyer contact the card issuer. Please refer to the map below for our delivery coverage within Klang Valley. Please note that time-scales for delivery and delivery charges will vary depending on the availability of the items ordered, and your address. 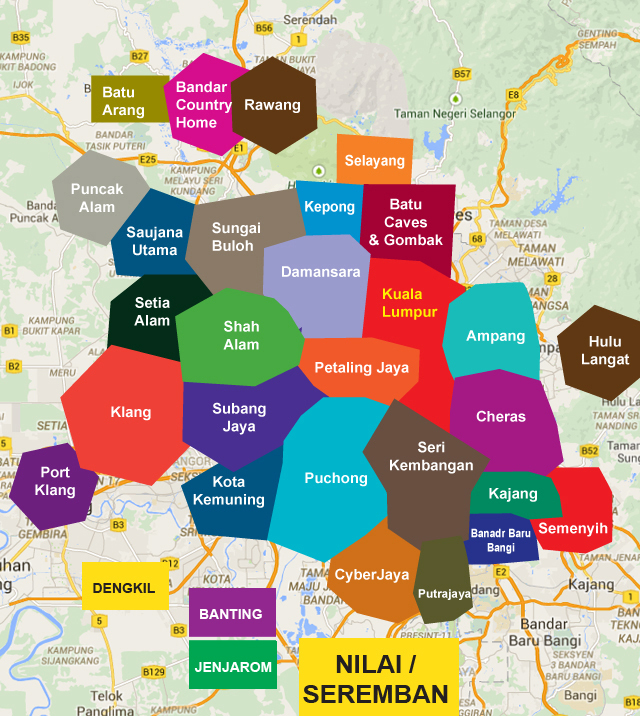 Please allow for extra time for deliveries to outside of the Kuala Lumpur metro area. We cannot accept orders from or deliver to addresses outside Malaysia. Please ensure that you have provided complete delivery address. Our delivery area is arranged by postcode. You can check if we deliver to your place when you are to registered with us. Here is a rough guide for our delivery area. For the area which is NOT stated above, ordinary post charges will be applied. Kindly list out all the item+quantity and location then email to info@pacificwise.com.my for exact postage fee. We will trying to add our delivery team covers more to areas in future. Kindly keeping visit our website for the latest update. There is only ONE cut off time everyday for us to prepare a quality delivery. 3pm is the cut off time for next day delivery. You may check your goods while you receive its. If you discover that goods are damaged, we will replace that goods as soon as we can or full refund amount you paid.